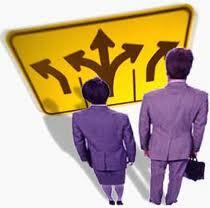 Management entails a lot of decision-making in a variety of situations. There are four key decision making styles: spontaneous, decisive, methodical and inclusive. An effective manager is able to respond to the need of each situation with the best decision making style. Be aware of your natural default style and train yourself to use the others where appropriate. Of the 4, what you identify as your natural decision making style? Can you identify the natural style of each of your team members? What style did you use? Was that the best style of that situation? How could you have made a decision differently? What style(s) would you like to develop? Do you know of any situations now that you could use to do so? I recommend you print this post, do an honest evaluation and I guarantee you, you'll find your 1% in those answers. Bonus tip: You can manage and coach people more effectively when you are keenly aware of their decision making style. Be aware that this can also be a source of conflict within a team.